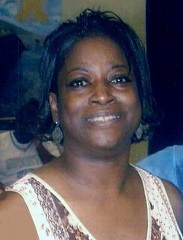 Brenda Mathis Cuff, 54, of Chattanooga, passed away on Thursday, February 7, 2019, in a local hospital. She was a graduate of Kirkman Technical High School class of 1983. She was married to Joe Cuff on May 6, 2013. Brenda worked as a Certified Nursing Assistant for Hamilton County and NHC health care facility for several years. She loved her family, dancing, and singing. Visitation will be on Saturday, Feb. 16, from 6-7 p.m. at Taylor Funeral Home. Funeral services will be on Sunday, Feb. 17, at 2 p.m. in the chapel with Vickie Joiner as the eulogist. Burial will be in Highland Memorial Gardens.